HoloCare is the first innovation center for mixed reality in the world. It is a unique public-private partnership, which serves as a common resource for building and sharing knowledge and solutions for future healthcare through holographic visualization. An important principle in HoloCare is that the projects and products must be clinically driven. Therefore, it was the clinicians themselves who presented the projects. The projects cover everything from the planning of children’s heart operations to orthopedics and psychiatry. 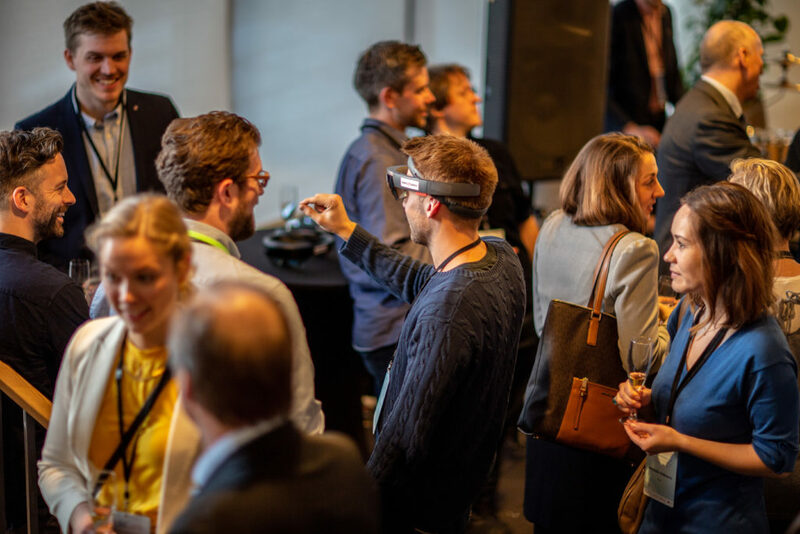 The clinicians talked about challenges with today’s solutions and how they are now testing new solutions, all based on the Microsoft Hololens technology. They also shared their goals for further development to better meet the clinical needs. The conference was well attended by both clinicians, people in health management and potential technology partners. We had visitors from several countries. Some even all the way from Colombia to attend the conference and start dialogue on possible collaboration. The interest in using holograms in medical imaging is great and we are proud to be captains on this journey. 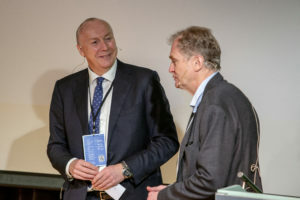 Erik Fosse, head of the Intervention Center at Oslo University Hospital, and Kjell Rusti, CEO of Sopra Steria, opened the conference. Both highlighted the good synergies one can get from multidisciplinary teams. The clinicians and IT consultants have really got it in HoloCare. Erik Fosse compared the innovation from the use of CT images on two-dimensional screens to holograms with the transition from horse and cart to cars. Sometimes you have to ask for more than just “faster horses” to get better services and products! From incremental improvement to radical innovationNorway has recently received its very first ministerial post dedicated to digitization. In his speech, Nikolai Astrup focused on how cooperation such as HoloCare, between public and private, is central to solving several of the challenges we face in the health field today. In an interview with Healthtalk, he also points out that HoloCare’s projects help to take the X-ray a long way further. 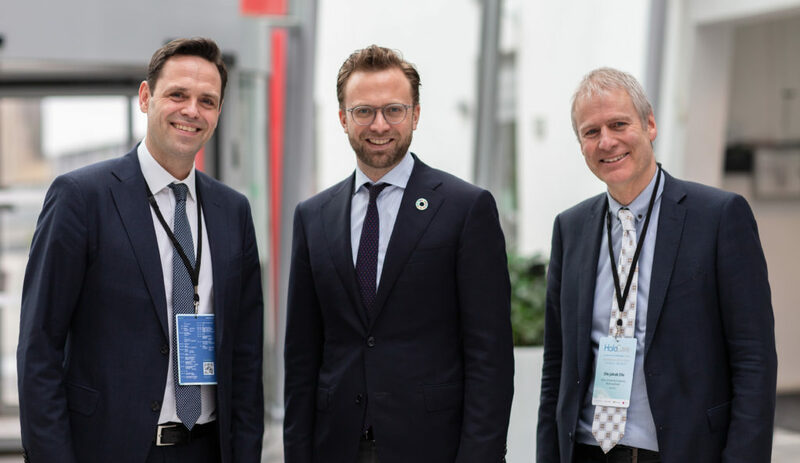 Director of innovation at Sopra Steria John Berland, Minister of Digitalization Nikolai Astrup and Head of Technology at Intervention Centre OUS Ole Jakob Elle. 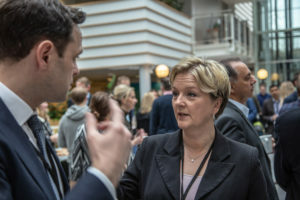 Kimberly Lein-Mathisen, CEO of Microsoft Norway, stated how important the project is in her presentation. She was proud of how HoloCare uses Microsoft’s technology in developing new and improved health services. She says that technology is not the obstacle to creating better services. We are the ones who need to change our mindset and be open to solutions that are already right in front of us. Sometimes it is difficult to see the car when you just think about how to make the horses run a little faster. “HoloCare will be solving the unsolvable and cure the incureable”, John Berland from Sopra Steria stated. Maybe a bit bold, but there is no reason to give the technology and the project limitations. The fact is that the way we combine need and competence from the clinics and the possibilites in the technology has already shown us that we can so much more than we thought when we started out. Talking to the doctors who actually make use of HoloCare’s applications for research purposes, we learn that to study the body as a hologram enables us to detect aspects and details that would be difficult to capture by traditional methods. In some cases, one might not have completed the operation if not for the hologram available during the planning, state the doctors. Who knew this when we started out? And who knows what future possibilities will enable us to do? which there is a real clinical need and that provides real clinical value, it is essential that the clinicians are involved from start to finish in product development. Elle also gave a little taste of the academic collaboration platform that HoloCare soon launches. In the new platform, which will be available through a cloud service, clinicians and researchers will be able to collaborate on researching existing solutions as well as helping to develop new ones. the different modes of surgical access during colon cancer surgery. OrthoNav with dr Ola Wiig is use HoloLens to display holograms of the patient’s hipbones, to virtually diagnose the patient and plan the surgery. HoloNav with dr Egis Pelanis and Rahul Kumar is creating a better planning tool for liver surgeries. Lastly, Theraport with psycologist Jan Ivar Ernø, who will bring the therapist home to the adolescent that needs help but find it hard to seek it. The projects are supported by Helse SørØst and without that funding we would not be able to create the future solutions for patients. The projects show the specter of which the technology can be used. No limits, only challenges to be solved – giving the surgeons better tools and the patients better results. It’s a win-win all over. Do you want to know more? Read up on HoloCare’s website!